The bedroom is essentially the most personal area of the home. As such, the furniture pieces we choose to fill it with are all of personal significance for us. Take for instance the bedside table – a simple glimpse at it is enough to get a detailed insight about its owner – framed photos of what their dear ones look like, their reading preferences, or their favourite junk food. Without a doubt, the bedside table is 100% your territory, and as such, you’d want to make sure you choose the right one. Besides being the landing spot for your most personal items, the bedside table is probably the first and last thing you see in your day. Therefore, it’s important to get something that you really love, which is easy as there are bedside tables that can meet every taste and budget. So, if you love vintage style, start browsing flea markets and antique stores. If you want to make a statement with a bolder design, there are pieces made of colourful plastics which can provide your bedroom with a lively touch. 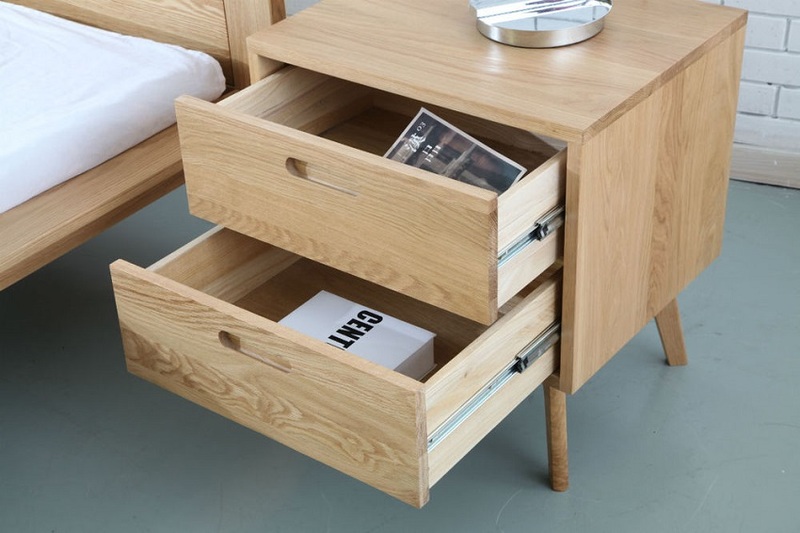 If you’re a fan of simple, timeless designs and want something long-lasting, an oak bedside table in Mid-century style does not only look very elegant, but it can be especially durable considering the rich and resilient material it’s made of. All, in all, the options are limitless. However, make sure that the piece you choose matches your existing bedroom décor. For instance, a sleek, glass nightstand will definitely look bad if paired with a rustic, wooden bed frame. However, that doesn’t mean that you shouldn’t experiment with some tasteful variety. You can always mix and match complementing styles to come up with a unique look. For instance, a Scandinavian oak bedside table works well in modern, mid century, and contemporary bedrooms. On the other hand, a French provincial piece can perfectly blend in with cottage style and Hamptons décor. But besides being appealing, the bedside table also needs to be functional. In a room where clutter can easily pile up, a smart nightstand can help keep all your knick-knacks organized and hidden away. You only need to make sure that it provides enough storage space for all your nighttime essentials. Consider bedside tables that come with ample surface space and multiple drawers as these can prove to be the most efficient way to store your tiny belongings. Additionally, you can also try using drawer organizers to separate your items into different groups for greater convenience.